In a large bowl, sift together your dry ingredients (flour, salt, baking soda, salt, baking soda). Stir to combine. In another bowl, mix together your wet ingredients and the sugar. Mix the wet and dry ingredients together and fold in the shredded coconut. 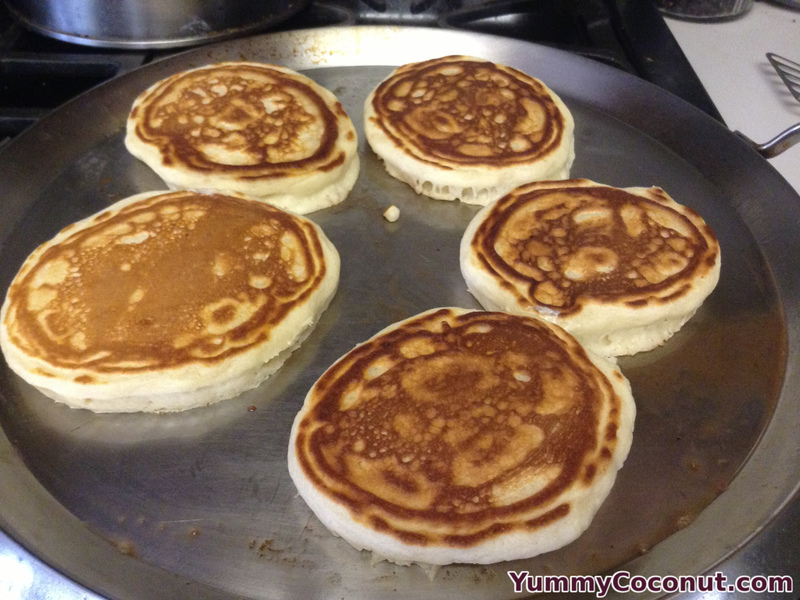 Cook until the edges of the pancake start to dry and bubbles have formed on the tops of the pancakes. Flip and continue cooking 1-2 minutes on the opposite side until the pancake is fully cooked. Sift together the flour, baking powder, salt, baking soda, and sugar. 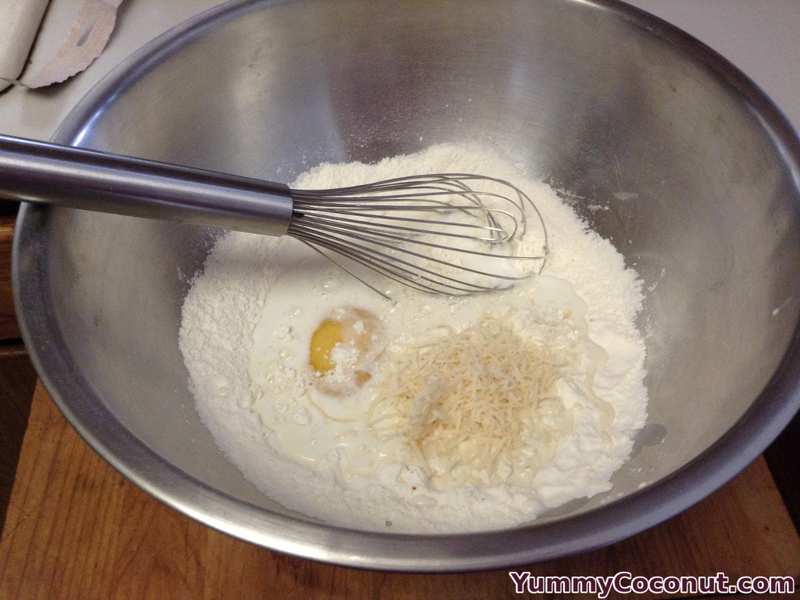 In a separate bowl, whisk the coconut milk, coconut cream, egg and butter/coconut oil until combined. Add the wet ingredients to the dry ingredients and whisk until combined. Finally, stir in the shredded coconut. Heat a frying pan or griddle over medium high heat. 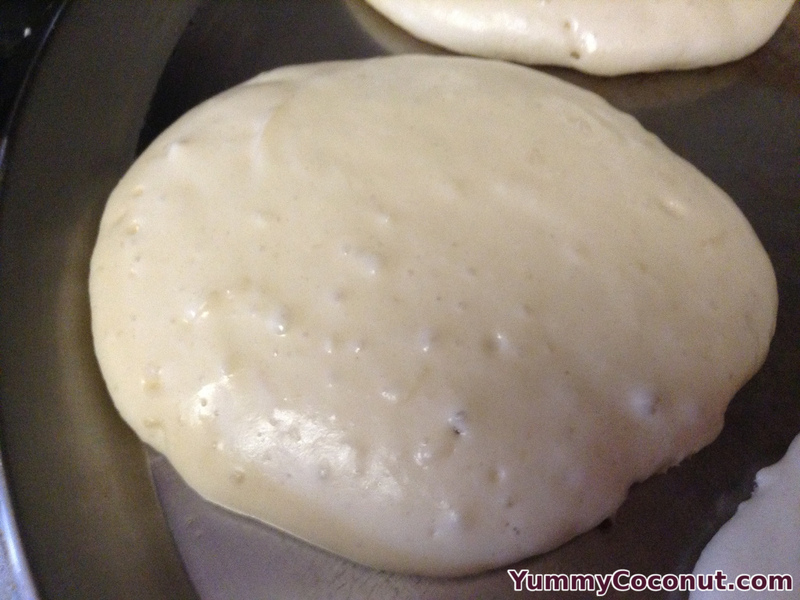 Once the cooking surface is hot, scoop approximately ¼ cup of batter per pancake. Cook until both sides are golden brown and the batter is no longer raw. Make sure to leave plenty of room around each pancake. 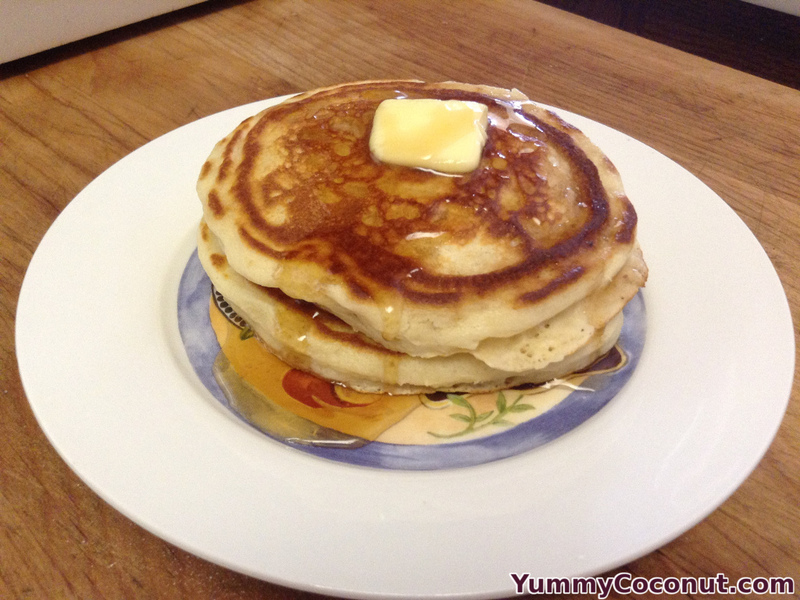 As the coconut milk and cream begins to warm the pancakes will spread out. Keep your pancakes warm by placing them on a baking sheet in an oven on the lowest temperature.